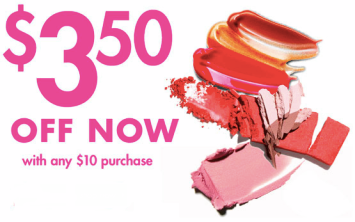 Sally Beauty have a new discount coupon for $3.50 off $10 either in store or online. This is to celebrate that the Sally now has O.P.I. in store with over 80 shades to choose from! All you need to do is enter your email and the coupon will be emailed to you. Another great deal is the Sally Beauty Club card, where you receive special member pricing on every non-sale item in the store. A one-year membership is $5. But, with your paid membership or renewal, you’ll receive a $5 reward valid on any one purchase the next day through the end of the following month. So effectively your membership will be free and you will still get great discounts. HOT: Huge Memorial Day Blowout Event at Zulily! Flirty Aprons Flash Sale 50% Off!